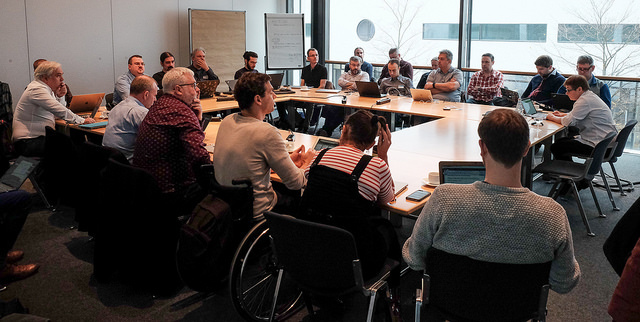 The second SUMMA hackathon took place on 9 and 10 October in Bonn, Germany, attracting around 40 attendees from around Europe. Since the first hack, the organisers were aware that the focus of events such as these was gradually moving away from the competitive aspect of producing the best submission in a particular category, and more towards an event that fosters collaboration and the sharing of ideas. Wishing to reflect this, it was decided that this event would deviate from the format of the first hack. Instead, the first half-day was taken up with a series of ideas generation exercises for all participants. 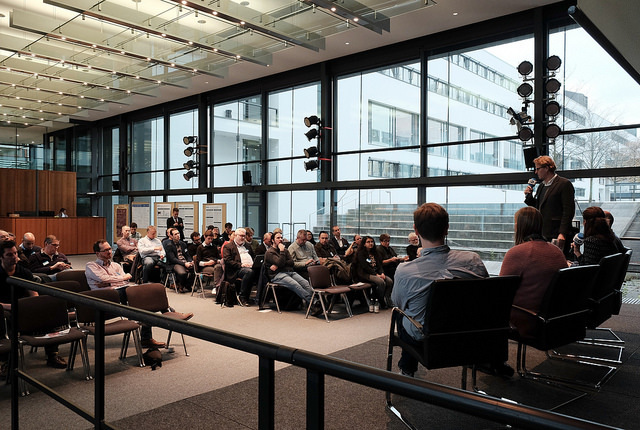 After a half-day of workshops and ideation sessions, five teams of researchers, developers, data scientists and journalists prototyped their ideas for how SUMMA technology might solve problems in existing production workflows. In order to align with the general change in emphasis of the event, to one of collaboration and generation of ideas, the brief for the hack was kept deliberately generic. For hack event 2, multi-skilled teams of journalists, developers and designers were simply asked to build a solution to a problem facing journalists, editors or producers at their media organisation. With the single requirement that each team must use at least one of the services provided by SUMMA. Adam Thomas, the Director of the European Journalism Centre, an independent European non-profit connecting journalists with new ideas. Yacine Messaoui, a digital transformation consultant. He most recently served as technology strategist and the director of Al Jazeera’s media platforms department – where he led the implementation of the Network newsroom transformation initiatives. 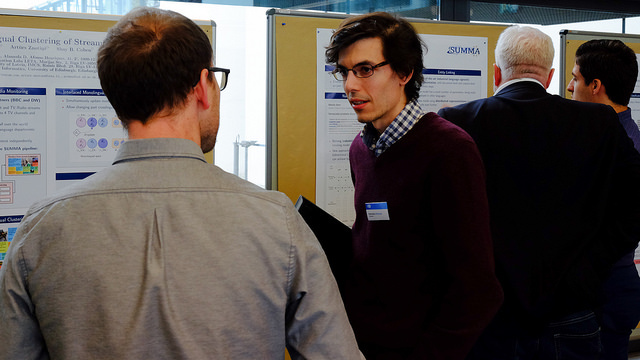 Team 1: Make the news social again – This team from Technical Universitat Darmstadt and University of Edinburgh attempted to re-engage news consumers on article pages with a module that reveals how stories and topics are discussed on Twitter. Team 2: Read this! – This team built a prototype that uses SUMMA technologies to support or refute claims in news stories. Users need only highlight a suspicious statement to pull in reporting from other news organisations that suggests whether the statement is true or false. Team 3: BBC News FLYA – Citing research showing that language-learning is a core skill for young people – and that the same demographic finds news depressing to read – this team built a new service that teaches foreign languages to students around the globe. Team 4: Six-Nine: News Perspectives – This team built a visualisation tool for comparing which topics and stories are being covered most frequently in various languages. The prototype made us of the SUMMA platform’s translation, topic detection and entity extraction technologies. Team 5: EnGague – What if people had access to the raw data that informs reporting? This team of SUMMA partners imagined a new timeline tool that could show how topics covered by the news change over time. This second hack event successfully demonstrated, to the wider community, the flexibility of the SUMMA platform.